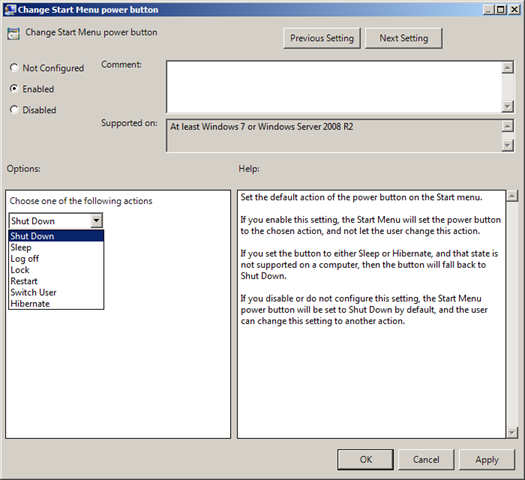 This week setting of the week is called “Change Start Menu power button” which allows you to configured the start menu shutdown button in Windows 7 and Windows Server 2008 R2. You can find this setting under User Configurations>Policies>Administrative Templates>StartMenu and Taskbar. If you have setup your computer to support Hybrid-Sleep then you should consider configuring this option to help ensure that your users select the “sleep” option. 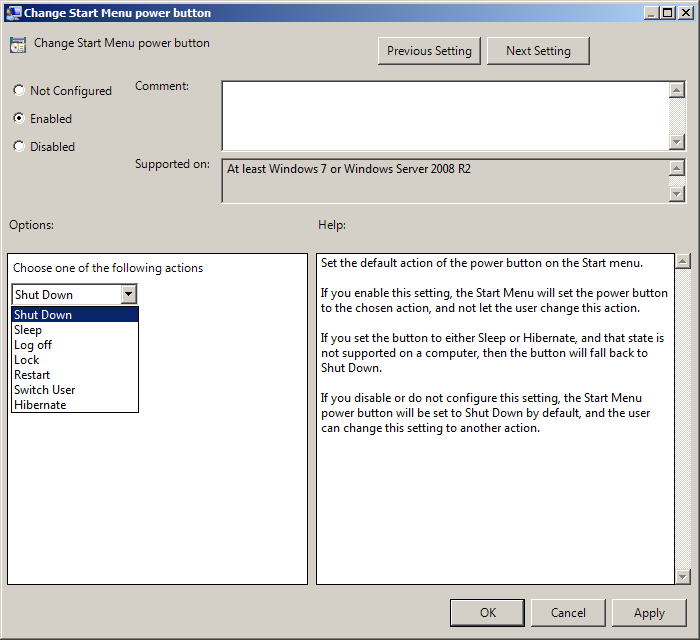 Note: If you select the “Sleep” or “Hibernate” options and the computers does not support that power mode then the option of shutdown will be used instead. http://windows.microsoft.com/en-US/windows-vista/Turn-off-a-computer-frequently-asked-questions (under “What is Hybrid Sleep”. Can you remove the button completely leaving only CTRL – ALT – DELETE to operate these functions?